All-natural and balanced food specially formulated for growing puppies. 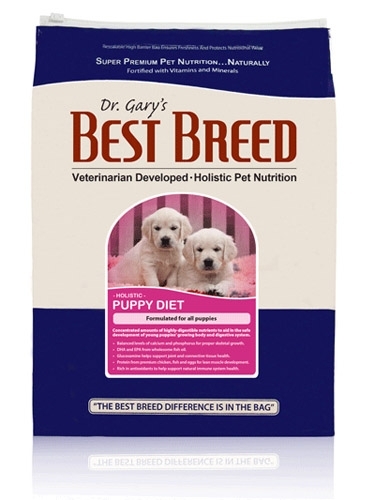 Formulated with proper amounts of protein, fat and carbohydrates, along with balanced levels of calcium and phosphorus, to give puppies the nutrition needed for optimal growth and development. Made with premium, highly-digestible ingredients to: 1.) mitigate unnecessary stress on your puppy’s sensitive digestive system; 2.) maximize nutrient absorption; and 3.) promote healthy gastric and intestinal functions.